33 Years In Prison For Pakistani Doctor Who Aided Hunt For Bin Laden : The Two-Way Shakil Afridi was recruited by the U.S. to try to collect DNA samples from the al-Qaida leader or his family members, to prove that bin Laden was in Pakistan. A local court in Pakistan's tribal areas has convicted him of treason. Shakil Afridi, a Pakistani doctor who helped in the hunt for Osama bin Laden by trying to collect DNA from the al-Qaida leader and his family members, has been convicted of treason and sentenced to 33 years in prison, according to reports from Pakistan. Pakistan's Dawn newspaper quotes Mohammad Siddiq, a spokesman for the tribal justice system in the Khyber district, as saying Afridi "has been sentenced for 33 years on treason charges and has been moved to Peshawar central jail after the verdict was announced by the local court." The Associated Press writes that another local official, Nasir Khan, said Afridi was also fined about $3,500. "Recruited by the CIA in order to help them establish whether or not Osama bin Laden was living in this suspicious compound, in a town called Abbottabad. "So he set of the vaccination program in Abbottabad for hepatitis B. And they rang the bell, and Shakeel Afridi waited outside. He managed to get a nurse inside the house — who administered some of these vaccinations, we think, and tried to get some DNA samples. In the end, we believe the effort was unsuccessful." Defense Secretary Leon Panetta, on CBS-TV's 60 Minutes in January, confirmed that Afridi tried to assist the U.S. in the search for bin Laden — and Panetta made the case that the doctor's actions were not treasonous. 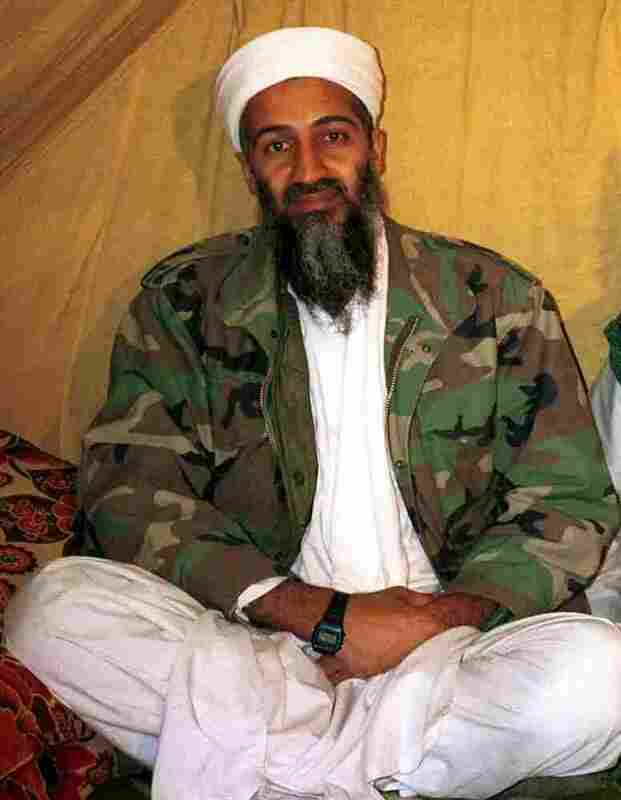 Bin Laden's compound in Abbottabad, Pakistan, was raided by U.S. Navy SEALs in an operation that began on May 1, 2011 and concluded with the al-Qaida leader's death in the pre-dawn hours of the next morning (local time). "The verdict against Afridi," NPR's Julie McCarthy reports from Islamabad, "was handed down by a government official in consultation with a council of elders in the Khyber tribal district, where the 48-year-old doctor was arrested in the weeks following bin Laden's killing." "British-era crime regulations there do not carry the death penalty for treason. But nor do they meet basic standards of due process, according to critics, because there is no requirement for an actual trial. Tagged a traitor and detained in secret, Afridi was accused of running a vaccine program at the behest of the CIA, a ruse to pinpoint bin Laden at a compound in the town of Abbottabad. "On Capitol Hill, two of the Senate's leading voices on national security, Democrat Carl Levin of Michigan and Republican John McCain of Arizona, issued a stern warning, calling for Afridi's release and pardon and saying that his 'continuing imprisonment and treatment as a criminal will only do further harm to U.S.-Pakistani relations, including diminishing Congress's willingness to provide financial assistance to Pakistan.' "
"So angered was Pakistan about Afridi's activities," NPR's Julie McCarthy writes to us from Islamabad, "that even before completing its report into the Bin Affairs, a special Abbottabad Commission declared him guilty of treason." Julie adds that "critics of the handling of the case against Afridi include Qazi Anwar, former president the Supreme Court Bar Association. Anwar says the doctor was deprived of a fair trial and that his fate was instead left to a political agent and a jirga in the Khyber Agency, where Afridi had lived and where he was found guilty. The assistant political agent of Khyber Agency, Nasir Khan sentenced Afridi, as jirgas according to Anwar do not have that power. "The 48 year old doctor has been taken to the Central jail in the Northwest City of Peshawar to serve out his term." Update at 9:15 a.m. ET. From Julie McCarthy In Islamabad. "The case embodies the tensions between Pakistan and the United States. "A physician, Afridi ran polio vaccinations in the tribal area. He was recruited by the CIA to set up phony vaccination program aimed at identifying bin Laden by gathering samples from the inhabitants inside Bin Laden's compound in the military town of Abbottabad. The extracted DNA evidence would prove Bin Laden was there. The plot failed, but Pakistan captured Afridi, and kept him in secret detention during the proceedings that found him guilty. "The U.S. has urged freedom for a man the Americans consider an asset, but Pakistan considers a traitor and its intelligence community believed an example needed to be set."